For businesses large and small, success and profitability depends upon customer acquisition, customer contact and customer retention. This customer management cycle can be further enhanced by implementing a Customer Relationship Management strategy or CRM. The main purpose of Customer Relationship Management is to allow businesses to better manage their customers through the introduction of reliable systems, processes and procedures for interacting with those customers. A good CRM program helps the business acquire customers and service the customers. It can also help retain good customers by identifying which customers can be given a higher level of service. CRM is a complex mix of business processes, enterprise strategies and information technologies, which are used to study customers’ needs and behaviors to help businesses develop more substantial relationships with them in order to get greater results. In the past, customer relationship management mainly consisted of just an index file, an answering machine and a telephone. Today, an advanced CRM system will be based in the cloud. These systems normally consist of email tracking, marketing campaigns, contact manager programs, sales tracking program, and even multi-media contact center or voice mail systems. A successful CRM strategy doesn’t just mean simply installing and integrating a software package; it also involves a wider approach including modifying business processes based on the needs of customer, training of employees, adopting relevant IT systems and software, and IT services that allows firms to track their CRM strategies. Good CRM software can help run an entire business by allowing companies to maintain all customer records in one centralized location that is accessible to the whole organization. Front line offices have systems that are set up to collect data from the customers for processing at the data warehouse where data is stored, orders are filled and tracked, and sales data analyzed. One of the most common causes for customer relationship management system failure is poor data quality, which can be easily avoided. CRM systems are as useful as the information it provides. The old saying “garbage in, garbage out” can be applied to CRM data quality. To ensure good CRM data quality, be sure to input the data accurately; check data entries twice to minimize the possibility of duplication; if there is an error in the provided information or if the information is not complete, then re-establish contact with the customer to recheck the data. Customers generally do not get annoyed at this; instead it makes them more appreciative of the extra customer service. 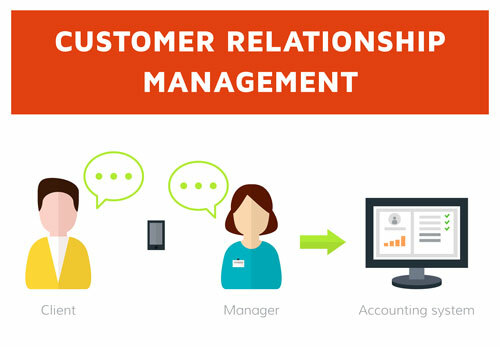 Customer Relationship Management, implemented correctly can indeed help you achieve a higher level of customer service. Susan Jan is interested in CRM and customer service and writes on various customer management topics.